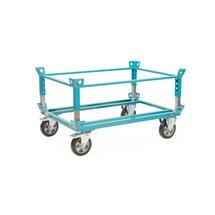 When transporting pallets and lattice boxes, the catch corners of the fetra® dolly help to secure the load. The practical aid for your logistics is available with different dimensions, capacities and tyre materials. 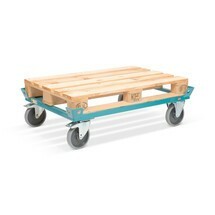 The Ameise® dolly with catch corners features a welded steel construction and is suitable for Euro pallets and lattice boxes. The dolly is available with different capacities. The stacking frame for the Ameise® dolly boasts a welded steel construction along with 4 catch corners with fastening eyes. 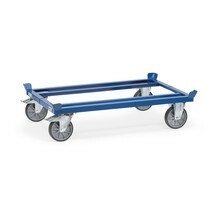 The frame can also be bolted to the Ameise® dolly.